Marriage is a holy institution, and as is the case with all holy institutions, it is plagued with some very unholy components. Here we have, amongst others, a never-ending listless duel between arranged and love marriages that threaten to destroy each other! And we can’t-do anything except for comparing the two. Presenting thereby the debate- love marriage vs arranged marriage! 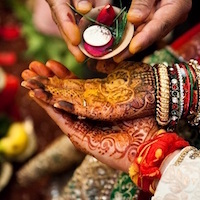 It is important to understand that although love marriage vs arranged marriage has been one of those unending debates, ultimately, both of these underlie the same concept, they are just different approaches to a common destination, which is ensuring a successful relationship between two married individuals. And while an arranged marriage can be taken as a slightly longer-term perspective, the other is based on a quicker and a more emotionally driven choice. As it is rightly said, a marriage isn’t a two-people affair. It is both a cause and consequence of two families coming together and intertwining into each other, with or without emotion. The situation is even more amplified in a conservative backdrop such as in India. Obviously, an arranged marriage facilitates this smoothly, as this is basic idea it propagates per se. On the other hand, familial pressure and distaste are why many love marriages do not blossom or even materialize in the first place. Recommended Read: Where Is Home? – Decoding The Question Of Every Woman’s Life! Dr. Robert Epstein from Harvard writes, “The idea is we must not leave our love lives to chance. We plan our education, our careers, and our finances but we’re still uncomfortable with the idea that we should plan our love lives. 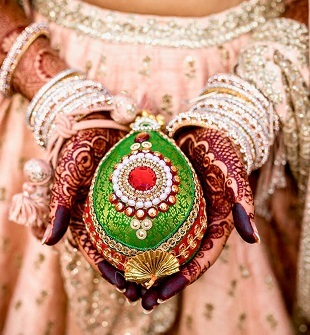 I do not advocate arranged marriages but I think a lot can be learned from them.” I absolutely ‘love’ this idea. Love is a pure emotion, but it isn’t just about the emotion. It comes with a lot of consequences; of which I’ll talk about in the following few points. 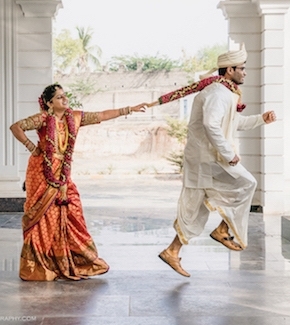 Arranged marriages are simple. Proper matchmaking ensures compatibility of individuals and families from the social as well as economic perspectives. This keeps materialistic differences aside and gives way to long-term stability. Such an objective kind of matchmaking has both its sides. The contrary view against arranged marriages is that they are forceful. There is an inherent pressure that creeps in, a pressure to sustain to make things work. Also, there is the claim that similarities in social and economic standing are not enough to give what it takes, which is perfectly true. Rather than declaring one of the two as victorious, it is better and more fruitful for us admit that both of these methods have positive and negative facets which should be respected. Both of these deserve to be studied in isolation. What is fundamental the diseases of our society, gender bias and discrimination, forceful marriages, having to treat the husband as ‘God’, and others be kept as removed as can be pre- and post-marriages. Otherwise, the love marriage vs arranged marriage is not one of those debates that die down easily.